"Overflowing with spirit and a compelling energy ... a performance that marries verve, power and a lung-busting joie de vivre...the accompanying blend of roots-rock, country, Celtic flavourings and a full-bodied melodic musical assault creates a powerful live combination..." Rock 'n' Reel magazine. Sophie has been a professional Singer for the last 14 years, working solo, in acoustic duos, vocal trios and fronting bands. She has had an incredibly varied career so far. In 2009 she began working as a Singing Teacher at Julie Adams Stage School in Bournemouth, and is now a freelance teacher of all ages. Sophie is available as a wedding and events Singer, as well as a Singing Teacher. Please visit her website www.sophierhodes.co.uk for her full biography and contact details. Walkford's answer to The Partridge Family! 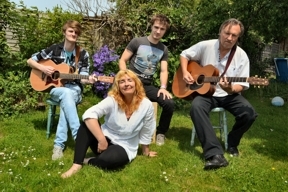 Featuring the performing and songwriting talents of all four members of the Rose family: Alan Rose (vocals, acoustic guitar, mandolin) and Charlie Rose (vocals) from the feisty fiddlesome folk-rock band State of Undress (www.stateofundress.com); Josh Rose on cajon (drummer with amazing lycra-clad big haired original rock band Saints of Sin (www.saintsofsin.co.uk) and rising singer/songwriter Ben Rose on vocals and acoustic guitar (www.facebook.com/BenRoseMusic). The Ramblin' Roses provide an intimate but fun gig of acoustic music interspersed with stories and anecdotes about how certain songs came into being and about life in a family where all four members are out on the road gigging and meet up at 2.30 in the morning to share their evening over a pizza and a glass or two! Take a look and listen, either on their Facebook page, or on YouTube. 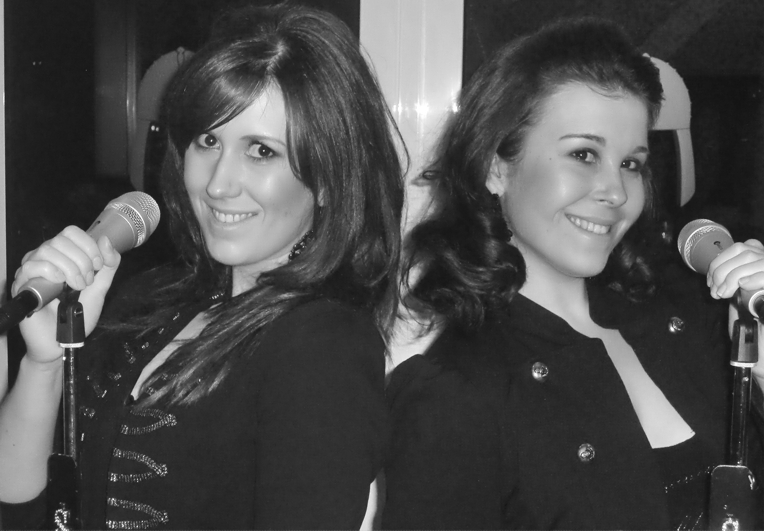 The Songbirds are a funky new female pop & soul vocal duo, sisters Laura & Emma Dean. Uniquely haunting voice, singing songs from almost every genre and decade. Her diverse range of music includes The Rock Opera style of Evanescence, soft rock/pop such as Kelly Clarkson, Pink, Sheryl Crow, Avril Lavigne , Amy Winehouse and Duffy, as well as the widely loved classics of Whitney Houston & Eva Cassidy and many many others. Signed with Coco Records International. Find out more about Helena on her website (click her name above) or listen to her music on her MySpace site www.myspace.com/helenamace1. Hugely influenced by the Rat Pack guys (Sinatra, Dean Martin, Sammy Davis Jr, Bobby Darin, Tony Bennett, Nat King Cole, and all the old time greats. Plus Michael Buble, Jamie Cullum, Amy Winehouse, Harry Connick. Tony Robinson's Chicago Jazz Aces with vocalist Barbara Lorraine is a traditional dixieland jazz band in the exciting Chicago style of the twenties, excellent for dancing, jiving or just listening to. The band no longer plays at The Fisherman's Haunt at Winkton on Thursdays. Watch this space for a new venue.